There are primarily two types of filter that are used in landscape, these being circular and square filters. Circular filters consist of a round piece of glass in a metal frame that screws onto the front of the lens via a metal thread. By and large these filters are limited in their uses for landscape photography beyond colour correction. A notable exception is that of the polarizer. A significant downside to round filters is that the photographer will have to carry a set of filters for each thread size that the gear bag holds (one could of course carry a set of step down rings, but this adds considerable hassle to the use of the filters. 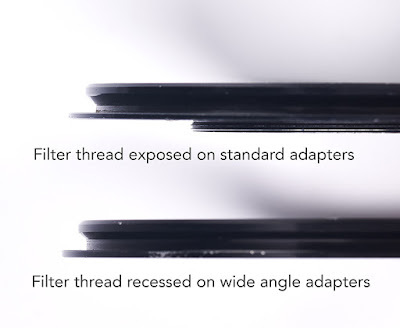 There is also the limitation of not being able to move the filter up or down in relation to the front of the lens as it is fixed to the lens thread itself. This is an important consideration if you are using graduated neutral density filters and need to line up the graduation with the horizon. Far more useful are square filters, which are usually marketed as a filter ‘system’, and fit to the front of the lens via a filter holder and lens adapter. 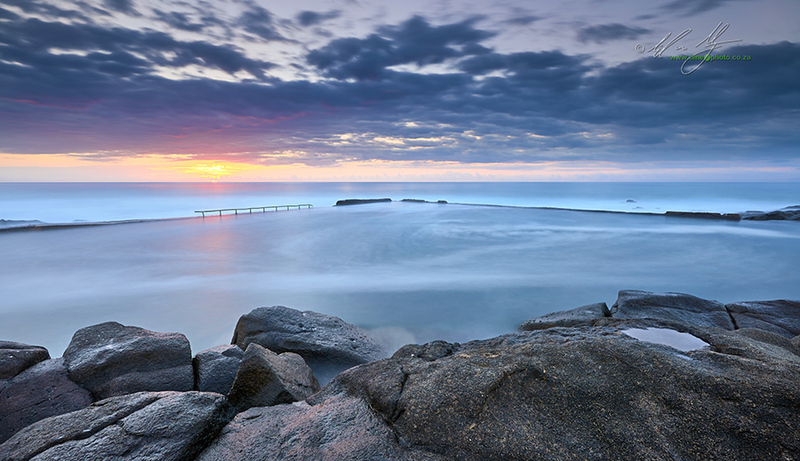 It is square or rectangular filters that are most commonly used in landscape photography. It is the use of these square filters that this series of articles addresses. Unlike round filters, of which there are a plethora of manufacturers from which to choose, square filters are only made by a handful of imaging companies. As a result they tend to be expensive for what they are and hard to come by (When there is a technical issue in a factory such as Lee’s, photographers around the world tend to feel the effects for a prolonged period). Like round filters, square filters come in different sizes. The size that should be chosen should suite the largest filter thread lens that the photographer owns. The sizes relate to the width of the filter. The sizes commonly found are 66mm (the old ‘Cokin A’ format), 84mm (known as ‘Cokin P’ in the past), 100mm and 120mm and the massive 150mm (now also the obscenely large 180mm). Of these sizes the 100mm filter system is the most popular for 35mm digital photography. The 84mm system is adequate for micro 4/3rds systems, the Leica M system and most of the mirrorless cameras that are currently available. The older 66mm filters are essentially obsolete as their width is not large enough for all but point and shoot cameras. 120mm through to 180mm are used for cine photography and the growing range of ultra wide zoom lenses such as the now aging Nikkor 14-24mm f2.8 and newer Tamron 15-30mm f2.8 lenses. At the heart of every square filter system is the filter holder. This is a piece of plastic or metal that the filters themselves slide onto. Depending on how modular the system is, these slots can be added to or taken away so that a filter holder can hold 1, 2, 3 or even 4 filters in a row. Some holders are also designed to have their own bellows shades or hoods attached. A filter thread can also be attached so that circular filters can be added to the front (and now also to the rear) of the ‘filter stack’. The holders attach to the lens via a lens adapter. This is a threaded mount that the holder can rotate freely around, allowing precise placement of the filter. 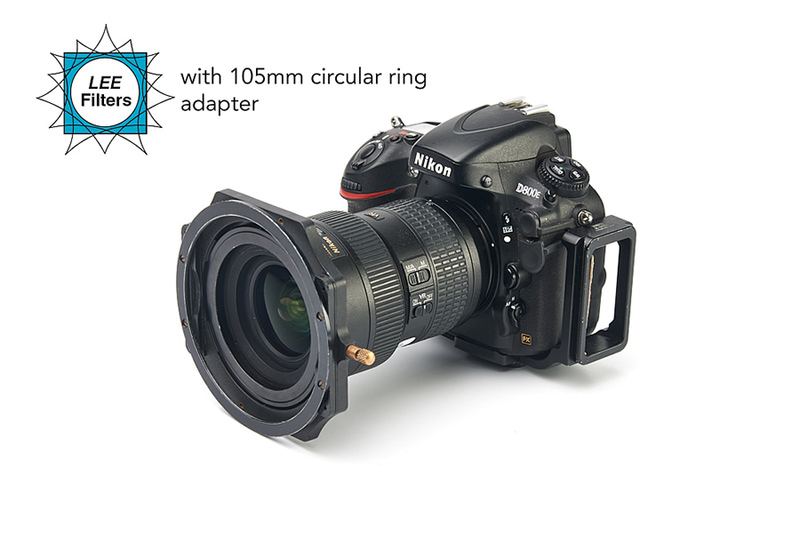 Adapters come either as standard adapters or wide angle adapters, although the newer brands such as Nisi and Sirui only produce so called ‘wide-angle adapters’. The wide angle adapter is specially designed to bring the surface of the filter as close as possible to the front element of the lens, and hence bring the whole holder towards the camera body, thereby alleviating potential vignetting at the edges of the image frame. As long as there is an adapter for each lens in the bag, the filters can be used on any of them. As mentioned above, because this is a filter ‘system’ a set of adapters can be bought for various lens filter widths so that the filter holder can easily be transferred to different lenses. I actually have several rings of the most common filter threads (77mm in particular) so that I can just leave the the adapters in place while shooting (quick tip: the Nikon inner pinch 77mm lens cap actually fits very neatly inside the Lee 77mm wide-angle adapter, meaning that I can pretty much permanently leave the filter adapter in place on the lens unless I want to use a lens hood). Both Lee and Nisi produce lens caps designed for the filter adapter, although both are fiddly in use and not as quick to remove as a conventional lens cap. The 100mm filter system is by far the most popular of the systems that are available. This is both due to functionality and cost. The larger 150mm filters are significantly more expensive than the 100mm equivalents and are a lot trickier to manipulate due to their size. The downside to the 100mm system is that the are just small enough that on some extreme wide angle there is vignetting in the extreme corners, particularly when the lens is focused to closest focus distance. Lee really is the grand daddy of the filter systems out there, having now been probably the leading filter manufacturer for 50 years. When I started getting involved in photography in the 1990’s you basically opted for Cokin if you were an impoverished amateur, Lee if you wanted something more upmarket and were in Europe or Singh-Ray if you wanted higher-end filters but lived in the United States. Tiffen also produced glass filters but these were extremely expensive and tended to be used predominantly by the film industry (as in cinema). The base holder for the Lee 100mm system remains pretty much unchanged. It’s a hard plastic holder with slots that can either be added to or removed by removing the small brass screws. There’s a thin brass pull latch that allows you to quickly remove the holder from the adapter ring. The system is very mature with add-on holders, gel holders, lens shades and more. 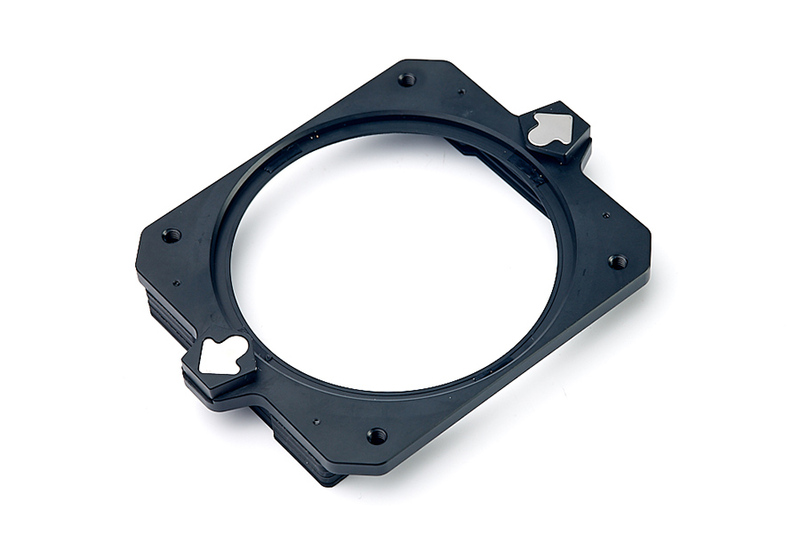 The Lee 100mm system also has the simplest of add of polarizers throughout he addition of a 105mm diameter circular thread that screws to the front of the holder system, allowing the addition of a 105mm polarizer. The age of the 100mm system shows when you compare it to the newer Nisi and Sirui holders. Lee’s other filters systems, the 84mm and 150mm holders in particular are much more modern in their design and implementation of filter use. Still, the old holders are virtually indestructible and just keep working. The adapter rings come in two variants; standard and wide-angle. The standard rings are simple ring threads with a bevelled collar that the holder clips to. The wide angle adapters have the beveled edge receding back behind the thread in order to bring the surface of the filter as close to the front element of the lens as possible. If you are going to get adapters, pay the extra and get the wide-angle versions as vignetting occurs easily on the new large front element lenses and tele-zooms. The Lee filter holder shows it’s age with the more modern ultra wide and wide angle zoom lenses. The holder ships with three slots, but basically you have to remove the furtherest as this vignettes on most ultra-wide and several 24mm zoom lenses. With only two slots I don’t get any vignetting on my 16-35mm f4 lenses even at closest focus. Unfortunately the addition of the 105mm filter adapter means that you have to remove another slot (leaving only one) in order to avoid vignetting. Sadly, only the newest ultra-slim polarizers can then be added before vignetting occurs with the polarizer attached (on my 16-35mm). The setup is fine with most 18mm and narrower lenses though (I have an old B+W Circular Polariser but have found that the newer Lee ‘Landscape Polariser’ is a better polarizer overall and has virtually no vignetting especially when focused away the closest focusing distance). Lee also supplies a simple slip over plastic cap for their ring adapters. These are semi opaque white plastic which I believe can be used to obtain accurate white balance, although I have never used them for this purpose. The different catch systems on the Nisi (left) and Lee holders. 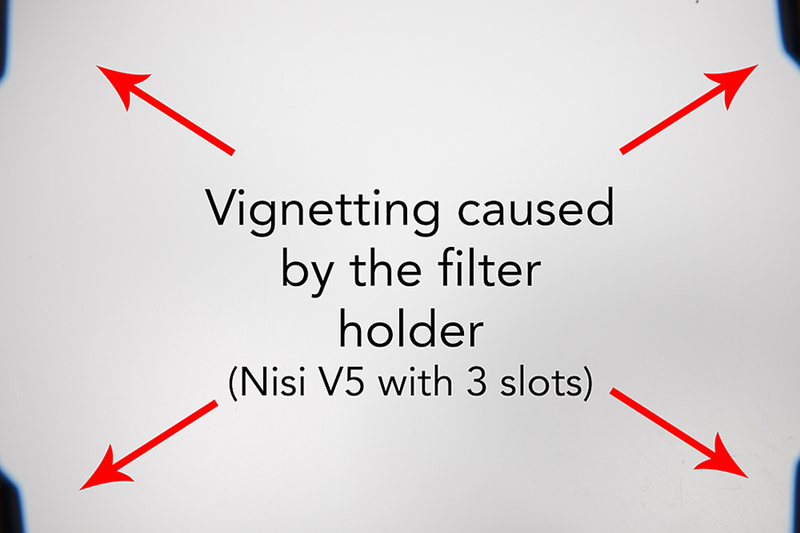 Nisi have entered the filter game aggressively and introduced two 100mm filter holders. The V2 is their simple 2 slot 100mm filter holder. It’s made of aircraft grade aluminium and is extremely light,even compared to the plastic Lee holders. The ring adapters are all of the ‘ultra-wide variety’ and are similarly extremely light. All the adapters have a very fine thread that also only has two teeth or grooves. This makes them a little fiddly to attach, but not impossibly so. 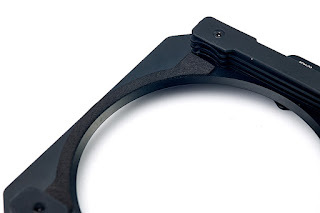 The catch system for the holder and ring adapter is slightly different to the Lee holders in that it has a 90 degree ridge that the holder rotates on. The advantage is that the holder can’t accidentally be bumped off the end of the lens - as sometimes happens to the Lee holder - but the mechanism needs to be a little more complex as a result. 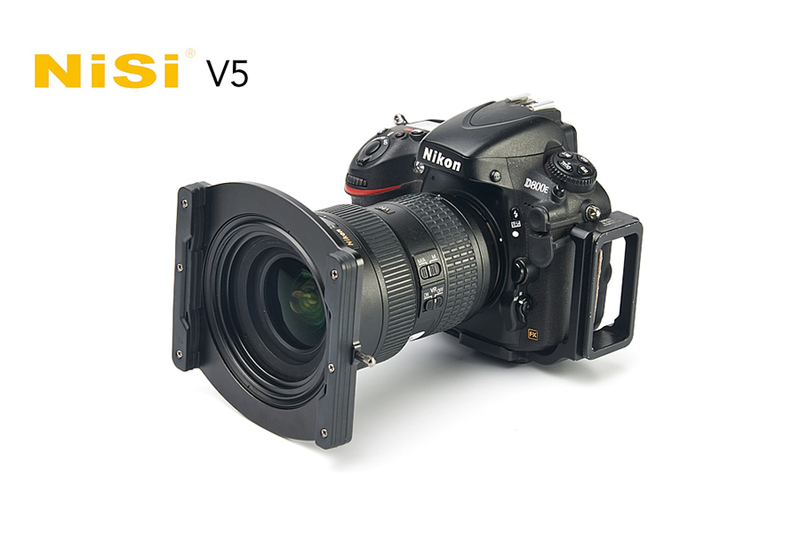 Nisi also have the very interesting V5 holder. Unfortunately it requires a different sized adapter ring, so if you want to have multiple holders you will also have to have to multiple rings. The advantage of the V5 over the V2 is that it incorporates a rotating 86mm thread where an ultra-slim polarizer can be screwed in. This lies behind the square filters themselves, making inter-filter reflections a non-issue (it is an issue with the Lee design and I often find myself trying to wrap a dark material around the outside of the holder when I use the polarizer. There is then a geared wheel that rotates the filter inside the holder itself. Due to the complexity of the V5 lens adapter, it only comes in one size - an 82mm thread. Nisi then provides thread adapters for this lens adapter (when you buy the holder you get 67mm, 72mm and 77mm thread adapters included). Like the Lee system, the V5 needs to have the furthest set of slots removed for it not to vignette on my 16-35mm lens. With the polarizer attached there is only slight vignetting at the wide end of the lens when focused at the closest focusing point. As you focus further out and the lens elements move towards the focal plane, the vignetting disappears. The massive advantage of the V5 over the Lee system is that you can get a polarizer and two filters in front of a 16mm lens without vignetting. Bear in mind that putting that many layers of additional glass or resin in front of a lens is not necessarily a good idea, but it does have it’s uses (think solid neutral density, polarizer for inky dark sky and graduated neutral density for balancing tones all in one holder and at 16mm as well). This all comes with a cost though. The V5 is bigger and heavier than the Lee holder. With the special rotating circular thread that the polarizer uses, there is also the possibility of the holder getting damaged or jammed up with dirt (You could literally drive over the Lee filter with a car and it would probably still keep working). The hard grey plastic cap that Nisi provides for their V5 ring adapters simply slips over the 86mm thread of the polarizer thread. The holder that Sirui have introduced is a very different to the Nisi and Lee holders. 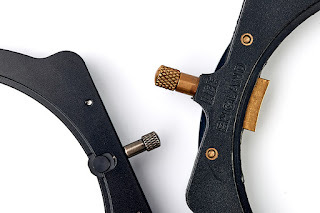 They have incorporate a polarizer thread, like the Nisi, into the ring adapter by adding an 82mm thread and allowing it to rotate separately to the holder itself.Very different to any of the other holders is the notched or geared rotation of the holder itself. My initial concern was that this wouldn't allow fine adjustment, but it still does. The only difference is that when you move the camera about, the holder doesn't unintentionally rotate as well. The holder is extremely well made and quite heavy. Unlike the other holders it has a more complex and probably safer way of removing the holder from the lens front. Where the Lee and Nisi use a tiny spring-loaded catch, the Sirui has two hefty spring loaded clips. You can add the holder by hooking one and pulling back the clip on the other, but removing requires a two-handed approach. This means that there is less likelihood of accidentally knocking the holder off the lens; an important point if you use glass filters as opposed to resin (I’ll be dealing with this in detail later). Of all the holders I used the Sirui also has the narrowest or tightest filter slots. You really have to be quite forceful to get the filters in there. I found myself worrying that I might crack a filter by pushing too hard accidentally. On the positive side, filters won’t slip and some photographers prefer a more ‘positive’ feel to manipulating the filters into place. Something else about the Sirui is that it probably the sturdiest of all the filters. It really does feel bombproof. It is made of quite heavy and stiff duraluminium with heavy duty plastic slots. Of all the holders tested (including the Lee), this one would probably take the most abuse. Lastly, the Sirui holder has a light baffle added to the holder rather than to the filters, meaning that theSirui 100mm square 10 stop neutral density filter is also the only one that doesn’t have baffles (more on this later). Depending on how you look at this there are pro and cons to this decision. It improves the light-fastness of the fitting, but also increases the chances of accidentally scratching your filter (and let’s be honest, these are expensive pieces of glass/resin). In the kit that I was sent to test, there wasn’t a lens cap for the Sirui ring adapters but each of the circular filters has a dedicated slip-and-clip-over cap. These are hardy black plastic, but a bit fiddly to remove unless the filter is actually attached to a lens. It would be remiss not to mention Formatt/Hitec/Cokin and Venus Optics/Laowa at this point. Many photographers had their first experience of filters with the venerable Cokin A and P filter systems. Well, Cokin produced the 100mm square filters too, called the Z-Pro system. Several years ago Cokin went bust and sold to Formatt, which owns and manufactures Hitec filters. The Format holder now available is the exact same one that Cokin made (which is a pity as the old Format holder was better in my opinion). The Cokin/Formatt/Hitec holder is made of similar plastic to that of the Lee holder. That’s where the similarities end. The slots are the widest of any holder I have used. Be careful of using this holder with glass filters as there is a possibility of them falling out. There are no wide-angle adapters meaning that vignetting is a cause for concern. However, the extremely simple design meant that you could have one slot on side of the holder, and two or three on the other. So, if you wanted to use an ultra-wide lens, simply reverse the holder. Inelegant, but it worked (please note, it is possible that Formatt have updated their holders, but the ones available in South Africa at the time of this writing are identical to the Cokin set I bought back in 2007). There is no polarizer adapter as far as I know of for this system. 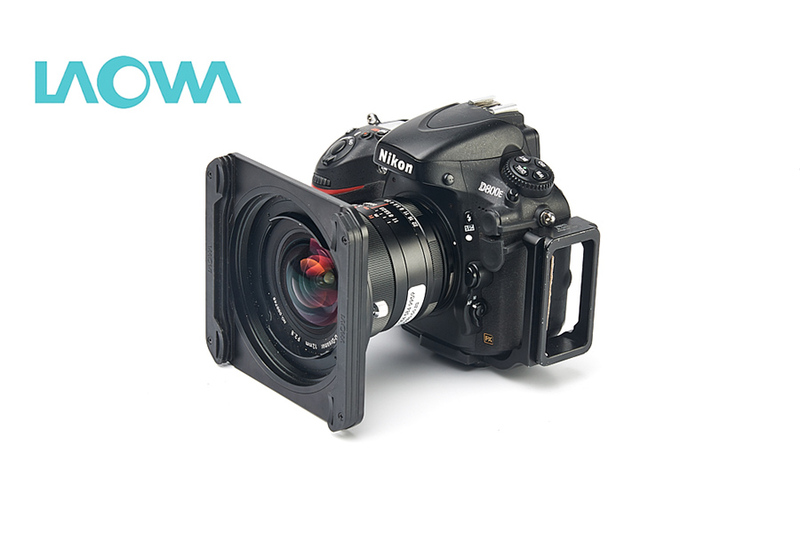 There is also the purpose designed and built Venus Optics 100mm filter holder for the 12mm f2.8 ‘Dreamer’ lens. This lens is unique in that it offers a 12mm field of view and accepts 100mm square filters. The holder is large, heavy and has quite narrow slots (similar but not quite as tight a fit as the Sirui holder). There is a rotating 95mm circular thread for a polarizer which does not vignette! The downside to the system is that you have to remove the light baffling on the 10 stop neutral density filters for this not to be included in the frame of the image (more on this in the section on neutral density filters). Bad news out of the way first. None of the filter holders is cross compatible with a different manufacturer’s ring adapters. Unfortunately, this extends to the fact that Nisi’s different filter holders require different adapter rings (a silly oversight in my opinion - photographers often have multiple holders and will bounce them between multiple cameras on a single shoot). So it means that once you decide on a holder system, you have to stick with it. However, a big but here (thanks for pointing this out to me Hougaard Malan), is that Nisi does make special adapters for certain lenses like the Venus Optics ultra wides, meaning that you can use your Nisi V5 holder on a lens that only accepts a specific bayonet attachment (I suspect that the 86mm polarizer won’t work though, as the 12mm f2.8 needs a 95mm in order to avoid vignetting). Apart from the issue of adapters, all the holders accept any 100mm square filter. Barring a few caveats, if you have a holder you can use virtually any 100mm square filter on the market. There are provisos though. The Sirui’s filter slots are a little too tight for the Lee filters which are the thickest of all those that I tested. If you use resin filters like Lee and Formatt, the edges will scratch as you slide them in and out of the holder. This doesn’t really matter as this portion of the filter will never be in the image frame in any case. Similarly, the Venus Optics holder is a touch on the tight side and does have an odd propensity to jam as you slide the filter down the slot, requiring extra force (never a good thing when handling filters) to move it past the pressure point where it jams. Another complication of the Sirui holder is the light baffle. Due to the included baffle you cannot slide in a Nisi or Lee neutral density with it’s own light baffle. On the other hand, the Sirui neutral densities are excellent for use in the Laowa holder as this also requires filters without the baffle. Thanks to the relative openness of the square filter design, the only real consideration you need to worry about is the type of holder you buy. Thereafter you can worry more about the filters and their color accuracy and use rather than what brand they come from. In practice, the Lee holders, despite their age are still the easiest to use. There is a valid concern that their slots may be a little wide for Sirui glass filters, but they do hold them in place (certainly more so than the Formatt holder does). However, as much as I love Lee products, they are overpriced. 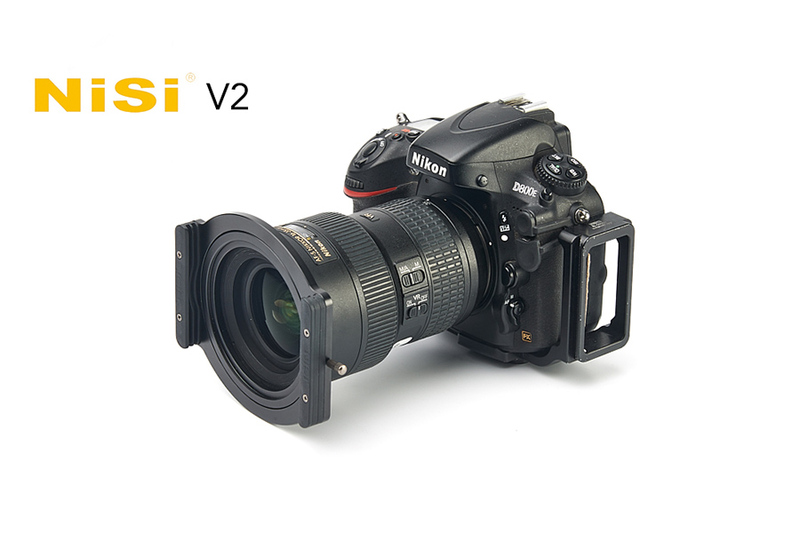 The Nisi V2 is a very easy to use, durable, light and comparatively more affordable holder. It makes an excellent entry into filter use. It’s just a pity that the adapter isn’t compatible with the V5 holder. If you are likely to use a polarizer often, the Nisi V5 is probably the best option. 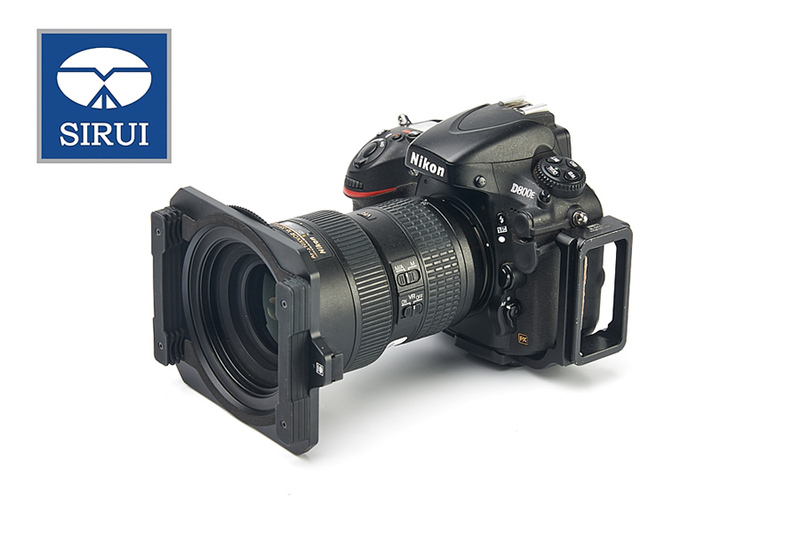 There are aspects of the Sirui holder that I really like, but I get the impression that it’s a version one product. Expect Sirui to improve on this as they doggedly do with their other products. The cheapest holder that I would recommend at the moment is the Nisi V2. After that you have to start thinking long term. If you already have a 105mm polarizer, then stick with the Lee system. If you don’t, then the Nisi V5 makes a very compelling option as it includes their excellent slim polarizer (two versions: a standard and an enhanced which is similar to the Lee ‘Landscape’ polarizer). In terms of durability, I suspect that Lee has the slight edge. My two aging holders stand testament to this (one of my holders is now almost 10 years old and only shows scuffs and scrapes from a decade of abuse, but still works perfectly). That said, the elegant and light fast Polarizer on the Nisi V5 is very tempting. Ultimately the introduction of more brands into the 100mm filter range is a win for landscape photographers. 1) Dynamic range is the range of tones that a digital sensor can capture before ‘clipping’ in the histogram. This is evidenced by tones becoming pure black in the shadows or pure white in the highlights, thereby no longer showing detail, but only a single tone. With film, one speaks of the exposure latitude of a film. Essentially, both film and digital sensors can only record a certain amount of tones before blowing out in the highlights or being lost in the shadows.